I’ve always liked caving. There’s just something in caves that awaken my thirst for adventure. 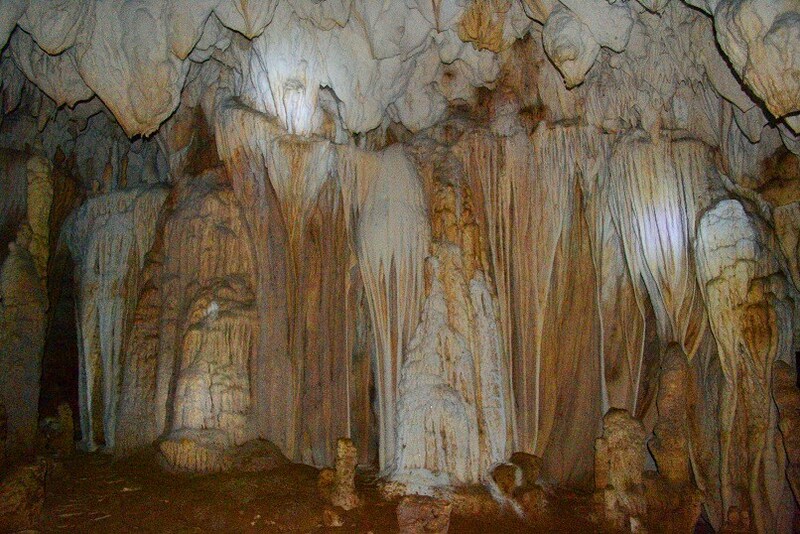 I’ve gone caving in China and Thailand but I love the caves in the Philippines most. 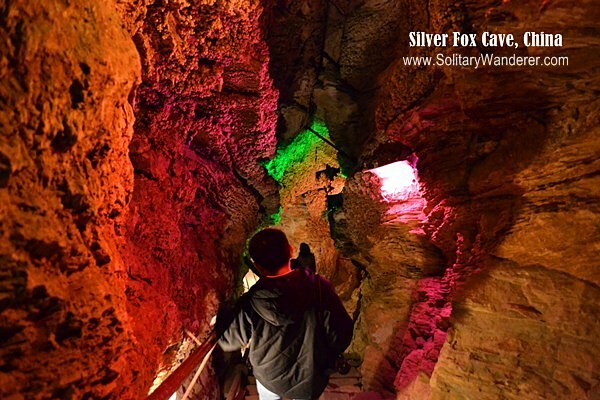 The caves are left in their natural state and you don’t get the feeling of being in an amusement park. 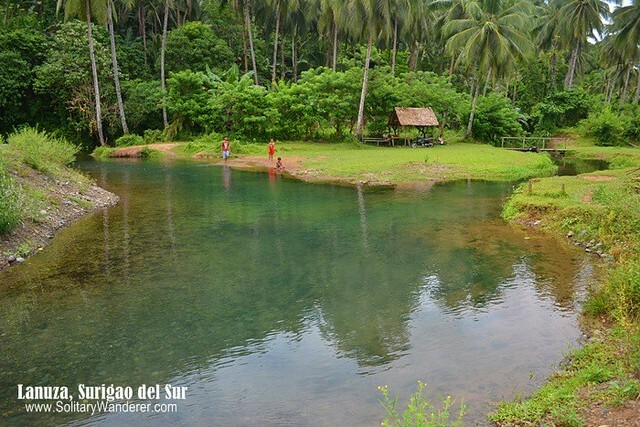 Surigao del Sur, my home province, definitely has a lot of these natural resources. My own hometown, Tandag, has a couple, but it’s still closed to the public. 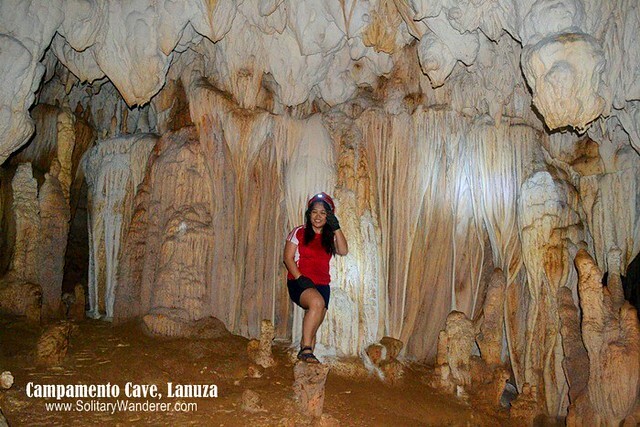 Too bad actually, as Danakit Cave is one of the most beautiful caves I’ve been to in the Philippines! 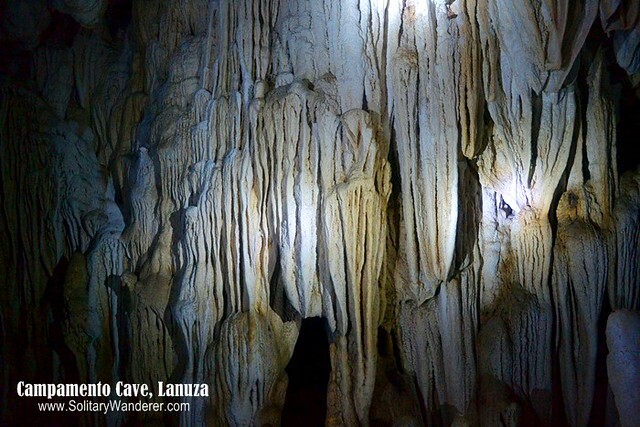 When I went home last month, I made sure to go caving in Lanuza, a town just an hour from the city of Tandag. 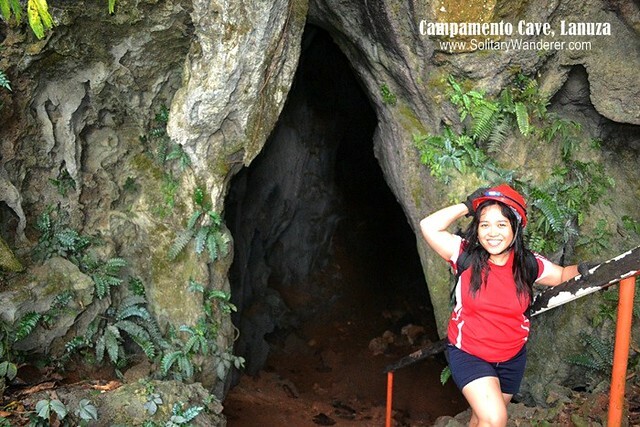 While not so deep, their Campamento Cave (“Camp Bell”) is worth exploring for its varied cave formations. 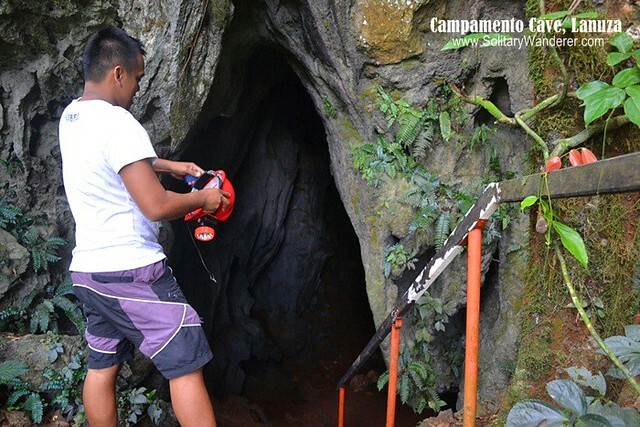 According to Lanuza Tourism Officer Glenda Joy Felix, there are around 100 caves in Lanuza alone, but only three are open to the public, all named Campamento. 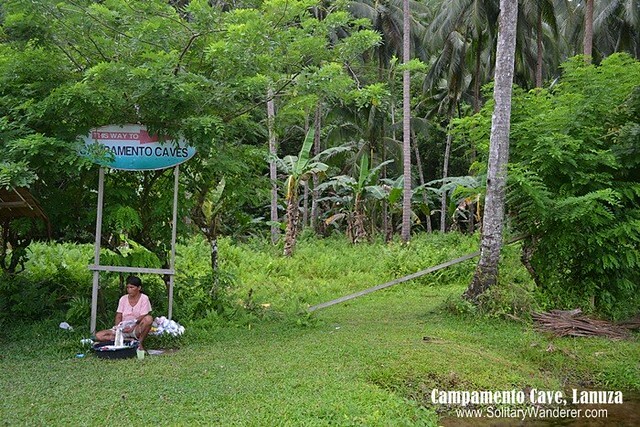 The first one where we went to was called Campamento 1, which is the easiest to explore with no equipment other than a flashlight needed. It’s also the nearest from the poblacion. Tourism Officer Glenda Felix (left) and guide Joy Maquiling. 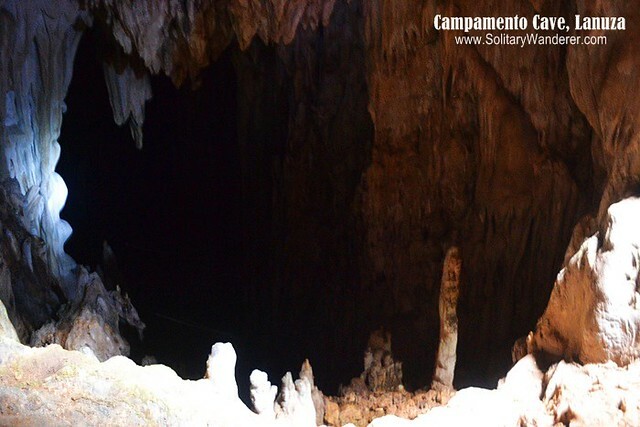 Campamento 2 and 3 on the other hand, are for advanced cavers, and require ropes and other caving gears. Unfortunately, the town has none (attention investors! ), so it’s only open for those who will bring the gears themselves. I remember feeling extremely disappointed when I heard that. Of course, I would enjoy caving no matter what level the cave is, but I would have loved to explore the more advanced ones. From the municipal hall where I met with Ms. Felix to the cave itself was less than 10 minutes. A few meters from the cave entrance was the Silop Spring where you can take a dip afterwards if you wish to rinse off. There are three guides from the Tourism Office, two of whom were just finished guiding a group of medical doctors from Madrid, Surigao del Sur when we arrived. The ladies looked sweaty but exhilarated; the cave seemed to have met their expectations very well. To reach the cave entrance, one has to go up a steep slope of around a hundred meters or so. A railing is provided for support, but the steps remained all-natural. I was worried that the cave had been “developed”–concrete steps inside as well as electric lights, ala China’s Silver Fox Cave, but fortunately, the local government let it alone. 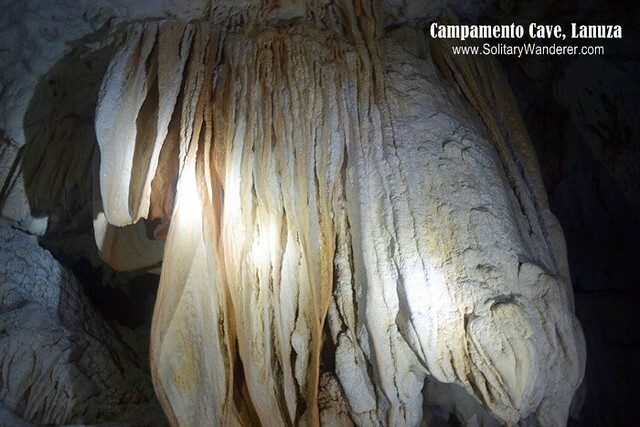 Campamento 1 takes around 30 minutes to walk through, with a total of 256 meters of cave full of beautiful curtains and draperies, columns, and other stalactites and stalagmites. 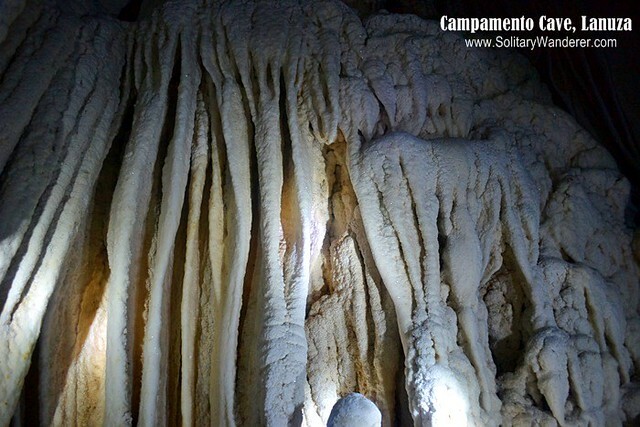 Unlike other formations I’d seen (like in Danakit or in Sumaguing Cave in Sagada), a lot of the formations here are milky white. Really quite beautiful! We saw quite a lot of bats here clinging to the stalactites. There are two chambers in Campamento; one ended after a few meters, while the other ended in the area (below) where there was a skylight and a way going down into the next level. According to Albert Mahinay, one of the guides, from this area up to the end is another 300 meters. Ropes and other gears are needed to go down this level. I was all for exploring it, but unfortunately one needs to rappel and the tourism office doesn’t have any gears, so we had to stop here and go back. To say I was disappointed is an understatement! …that are perfect for picture taking. I have my eyes closed in the following photo but I didn’t bother to have another one taken. The other guide, Joy Maquiling, found it difficult to focus enough, and I was glad she managed to get one! Afterwards, all sweaty but not the least bit tired, the guides and I went back to town to cool down with a glass of halo-halo. I was supposed to go around town first before going home, but as it had started raining, I decided to go back to Tandag instead. 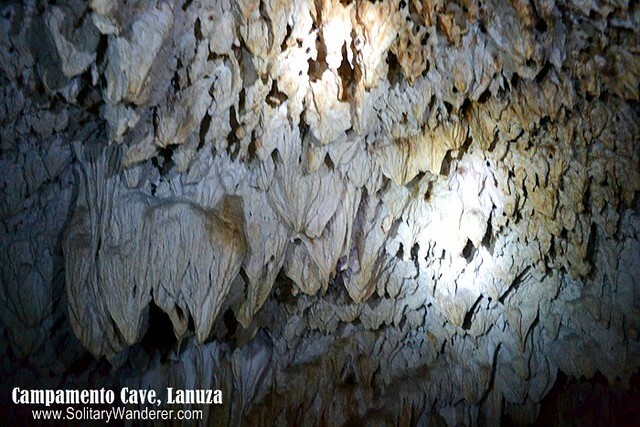 I loved caving in Lanuza, but rather than whet my appetite, it only made me long for more. The rate for the whole tour is P500 for every group of three, including guide fees, transportation, gears, user’s fee, and snacks. 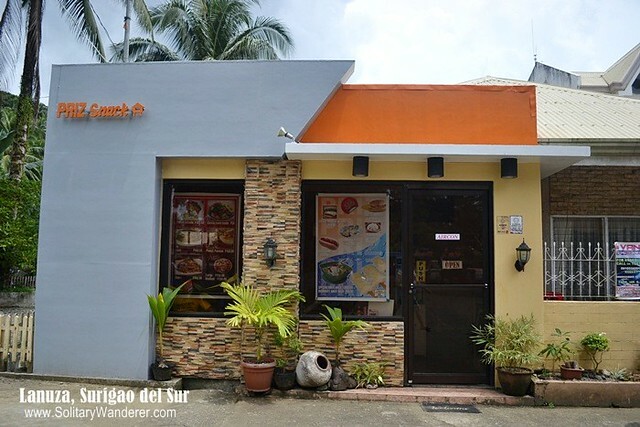 I had one of the best halo-halo (P80) I’ve ever tasted here. 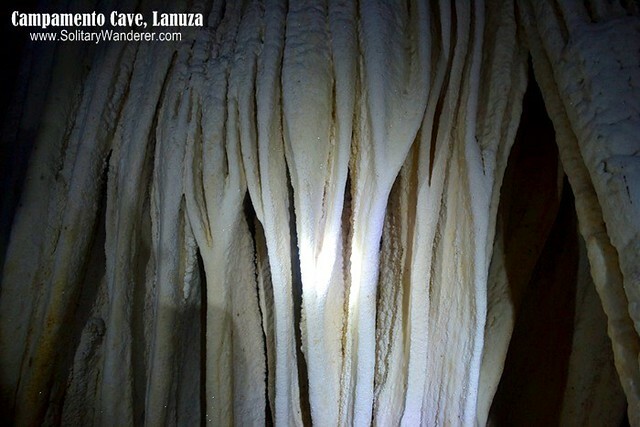 Lanuza is around an hour from Tandag City in Surigao del Sur (Cebu Pacific flies there three times a week) and around four hours from Surigao City. If you’re coming from Tandag, you can either take a van (P70) from the Balilahan Bus Terminal, a bus (P60), or jeepney. The terminal in Lanuza is right across the town hall where you’ll meet with the Tourism Officers. A guide is needed to explore the cave. If you have time to stay in Lanuza, do. There are a lot of homestays and you can choose depending on rate (P150 per day onwards) or amenities (aircon, fan, Wifi). Ask Ms. Felix for her recommendations. Surfing–Lanuza is starting to get known for its surfing activities. Join the National Surfing Festival held annually which will be on November 3 to 8 this year. Best time to surf is from November onwards. For more information, get in touch with Glenda Felix, the town’s Tourism Officer, through their website Lanuza, Surigao del Sur or by mobile at +63939.916.9512. I would love to go back to Lanuza in November, to join their surfing festival and perhaps go snorkel in their Sanctuary. I’ll make sure to stay at least a day; time to look for small backpacks in Zalora as my old Hawk one is just too big for an overnight trip! Do you like caving? Would you come visit this cave if you had a chance? @ Mel C: I’ll be there during the opening of the Surfing festival as well! I also hope you can push through and go caving. It’s a must, and at P500, pretty cheap if you’re a group. 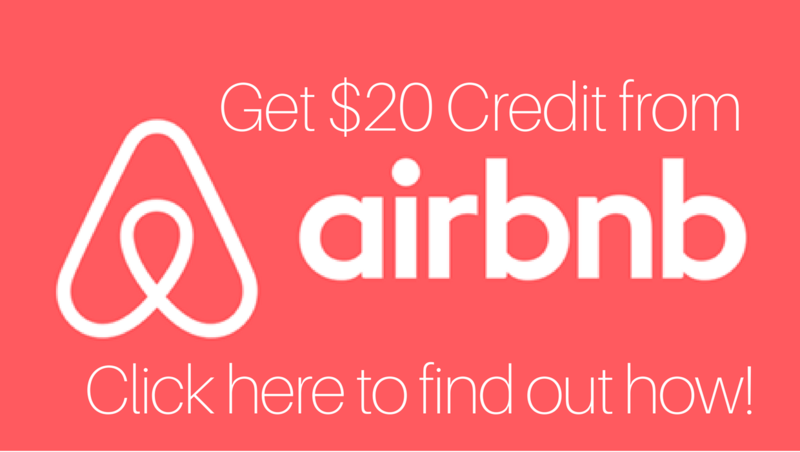 Do share this post with your friends! Thanks! These caves certainly look lovely. But we don’t really like the idea of the spiders :-). @ Marisol: There are so many beautiful places in our country. Time to come visit! @ Freya: Thanks! I love caving, too. I love caving and this looks like the perfect place to do so. Hi Aleah, I have not heard of Lanuza. What a delightful discovery for me. 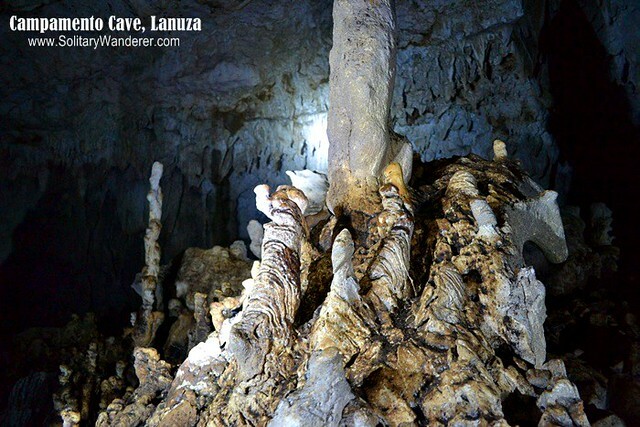 I love caves and I’m amazed to find out about Lanuza’s existence. I hope the advance cave will be geared up soon. I hope to make it there the next time I visit home. @ Bronwyn: I agree. There’s just so much to see here you can’t really go to all beautiful places in just a month. Another great option for the Philippines. The trouble is narrowing a trip down to one area of the country! Thanks for taking us to the caves and for the travel info. @ Mike: Thanks for asking about my furbabies, Mike. They’re well. I don’t think I can go into a mine. Scary to think the tunnels may collapse anytime. Small world it is. I have been following your blog and after reading this blog, I have realized we belong to the same province. 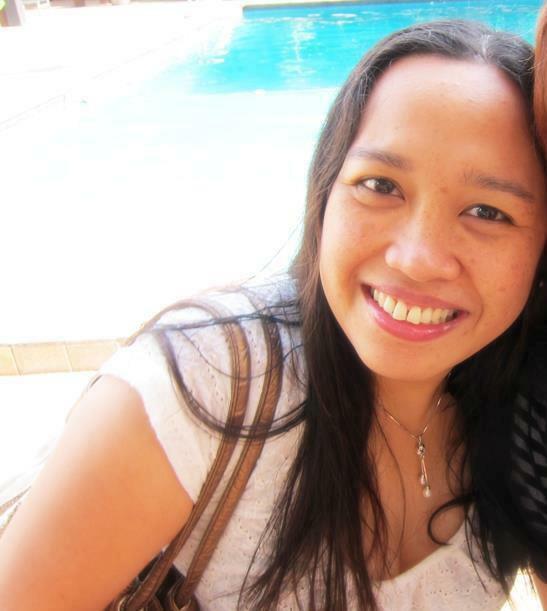 Am from Lianga, Surigao del Sur. @ Dana: I know. 🙁 I mean the easy one is okay, but there are people (like me) who would love to do more. Hopefully they find an investor soon. It would’ve been cool if you’d been able to explore the cave further. Hopefully, the tourism office will get the funds they need to ensure visitors have proper gear. @ Jay: Yes, the Enchanted River is also there + the Tinuy-an Falls + a whole lot more besides! @ Photo Cache: Awww, that’s too bad. I agree, if you have a fear of the dark and/or enclosed spaces, caving is definitely not a fun activity! i am amazed at all the formations inside the caves but the fear of enclosed spaces always get to me so i don’t get to enjoy the activity much. 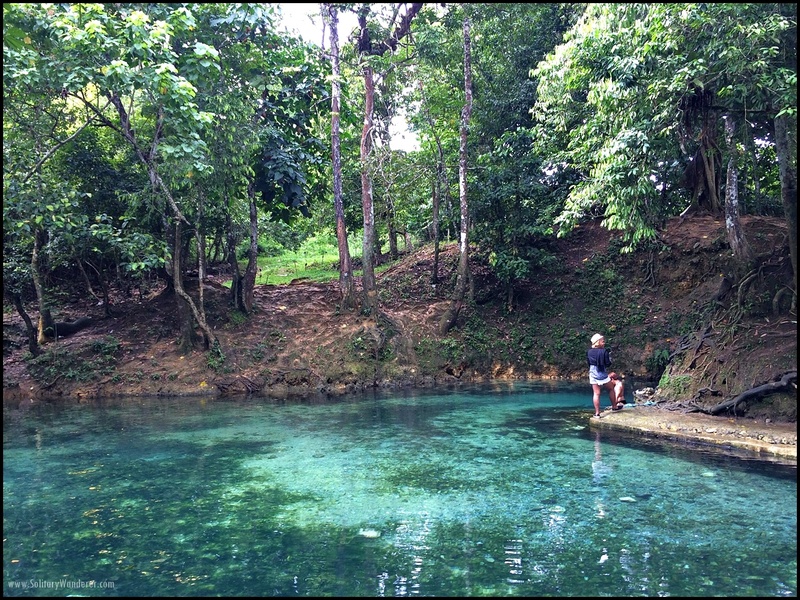 Is the enchanted river also in Surigao Del Sur? Now I have two reasons to visit the province!